This page contains all the pieces specifically for building and flying the 6mm EPP Mini P-51D Mustang. 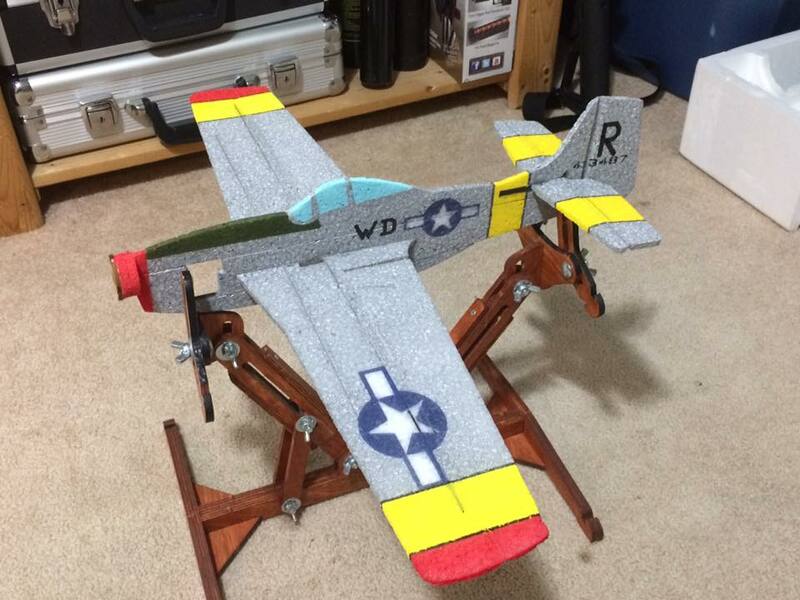 This version shrinks the popular P-51D Mustang to a 67% size that allows it to be used in a smaller indoor venue while retaining all the great Leadfeather P-51D Mustang qualities. With the power system we sell the weight comes in under 90g and using 180mah 2S batteries you get a great flying plane for small gymnasiums for the winter that is fully capable of flying outdoors in the better weather. We are initially releasing the kit unpainted while we get our paint masks finalized due to the demand for this model and the paint schemes people have been creating. As with our other models, our Mini P-51D instructions are supplied in paper form with the kit but are also available on the website with expanding color pictures of all the steps for clarity. The Mini P-51D YouTube video playlist.